Ever fallen in love with your hotel room? The colors, the bed linens, the twice daily maid service …. Great design is a big part of the appeal of independent hotels. Our guest contributor Paula Oblen of Hotelements visits Sunset Marquis and tells us how to get that rock royalty feeling at home. It’s perfectly fitting that West Hollywood, California (WeHo) is known as ‘The Creative City’. From some of the first rock ‘n’ roll clubs in the 60’s, to being the center of design and food in the 70’s and 80’s, WeHo has seen it all. It’s no secret, (maybe a little) that famous rock stars, fashion icons, actors, photographers, and writers have contributed to this reputation. And sitting at the heart is Sunset Marquis: a secluded casual-luxury boutique hotel that exudes a zen-like calm, but with the spirit of rock ‘n’ roll never far from mind. What’s the design style? Luxury can sound so—well, formal. I prefer to call it Laid-Back Luxe. So what are the design elements required to emulate this vibe at home? Let’s dissect the details and immerse ourselves into this landmark property. Bringing hotel inspiration home is the perfect way to capture an awesome adventure. Unexpected, various shades of green feel clean and crisp with the rich, dark accents anchoring this space. Espresso color dining chairs, leather ottoman and the simple detail of a black bordered frame provide the perfect contrast to cooler shades and textures. Emulate the wall paint with Dunn Edwards: DE5506-Olive Oil and don’t be afraid to mix in other shades of these yellowish-green hues for an unpredictable combo of color. The bold pop of purple in the Villa makes this room feel a bit mystical, regal. And without this color, the room, while still luxe, is fairly simple. Don’t underestimate the benefits of taking risks with color as they directly affect our moods. Using bold pops of color at home awakens creativity and captivates our attention. Add your favorite bold color in a headboard and pillows to transform your bedroom into an inviting retreat. And my vote will always be to keep the linens white! Learning how to dissect a space isn’t always easy—but if you trust your instincts, you’ll rarely be wrong. This suite is loaded with texture, in the drapery, carpet, tile, and even the flowers. Texture is the most important design element in a space, as it sparks an engagement. We immediately want to reach out, touch, and feel, allowing us to emotionally connect. Boutique hotel designers are brilliant at creating this tactile experience. 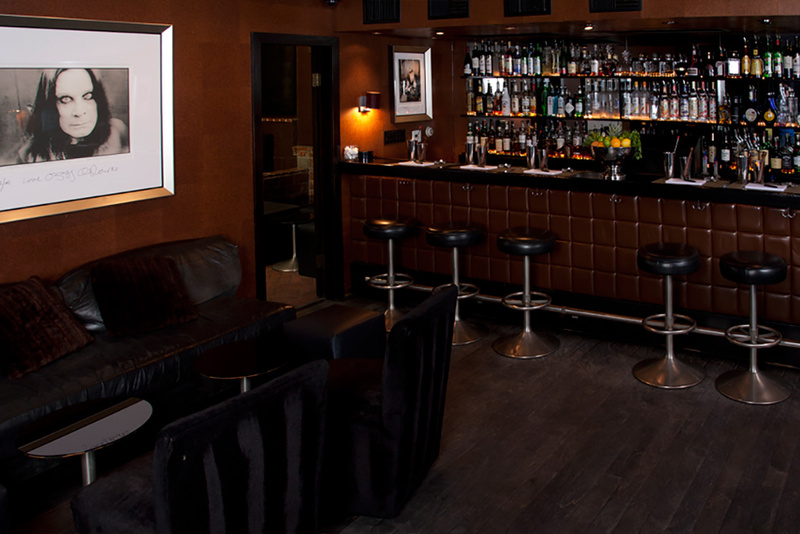 Bar 1200 deserves to be dissected as much as does the Presidential Suite. Why? Because it’s a destination all its own, an intimate, cozy communal space for locals and friends to reconnect and do business deals. And any place with a history of rock lyrics and notes scribbled on napkins (I can relate) gets my vote. Signature cocktails speak to the history, and if you listen closely you’re likely to hear a tale or two that’s worth repeating. Entertaining tip at home: design a signature cocktail at your next party so guests can start telling their own stories! Paula Oblen is the CEO and Founder of Hotelements, an interior design and lifestyle source for inspirational advice, signature design elements and all the creative expertise you need to escape, experience and emulate your favorite boutique hotel spaces at home.